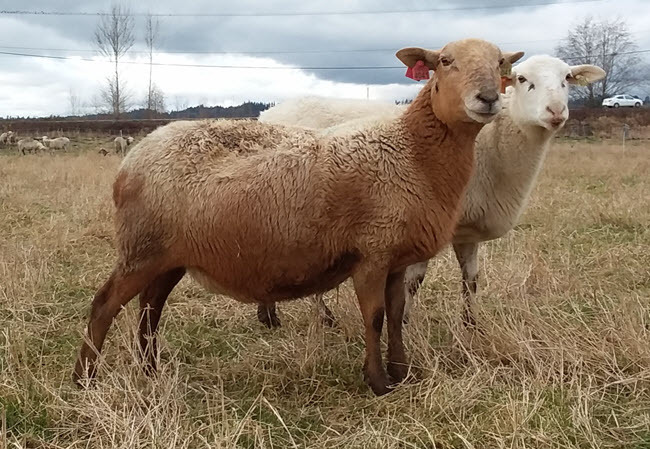 This is a pretty red ewe with classic Katahdin type. She has been a good mother, only losing one lamb due to clostridium in her first year, which was not her fault. She has moderate EBVs across the board and is a little low on milk, but raised triplets successfully in 2018. Photo taken January 2019. EBVs from 2018 lamb crop EPWWT/PWWT weight data. Lambing record starting as a two-year-old: 2/1, 2/2, 3/3. She is bred to KMC7018, due to lamb in April. Price is as an exposed/bred ewe, price will raise once she has lambs at side.